Lydia Buckroyd in Culture & Arts Television on 25 January, 2019. Channel 4’s ‘SAS: Who Dares Wins’ is back on our screens with (predictably) brash commentary from both participants and commentators, but avid viewers will notice a slight change to the line-up this year. With the introduction of women to all areas of the armed forces last October, ‘SAS: Who Dares Wins’ has become a perhaps unlikely frontier of gender equality on our TVs, taking the age-old question of whether or not women are as a strong as men to the HD resolution of prime-time television. Yet with a change so capable of controversy, how well will the programme actually tackle potential sexism, and should we be rooting for a female winner in the name of feminism? In a single word- no. The show has and always will be about finding the single strongest person on the course, and to root for a female winner above all else would corrupt the very aim of the programme. The lottery of nature has given men greater muscle mass, bigger hearts, greater lung volume per body mass. In short, women have to work a whole lot harder in order to reach the same point physically as a man. While it can be done, expecting the strongest woman on the show to outperform a man at the peak of his physical fitness seems optimistic at best. But even if we see a final populated entirely by men, we shouldn’t assume it’s a bad thing for female empowerment. The most important thing about including women is simply providing the opportunity to compete on the same field as a man, even in an area that they are biologically disadvantaged in. Yes, there are physical differences between men and women. And yes, those differences may make it more challenging for the women on the show to complete the course. But what matters is that they are there, and they are being held to the same standards as men, and any successes that they therefore achieve are directly comparable to the men. Even without a female winner, every time a woman performs as well as a man in a task is a time that they prove that women shouldn’t be assumed to be weaker. To the production team’s credit, they seemed to have recognised this. The women have been given the same tasks, the same barracks, the same toilets, with no reliance on outdated notions of feminine attributes to carry the show along. Bar a few notable and frustrating exceptions (i.e. 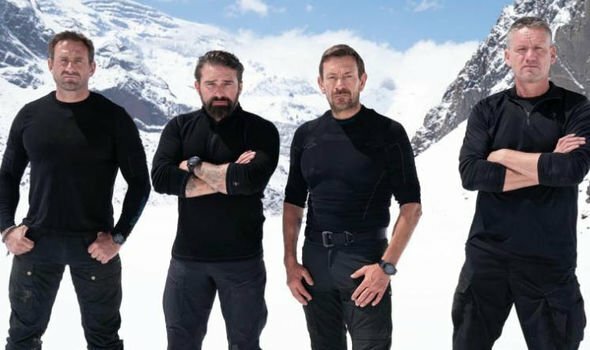 Ant Middleton yelling ‘The last four are f*****g chicks- f*****g surprise’ down the Andes mountainside), the show barely even makes reference to the fact that women are present past the first episode. And in the spirit of ‘here’s one I made earlier’, they even include a female member of the Swedish special forces as a mole in the camp, proving the possibility of women outperforming their male equivalent. ‘SAS: Who Dares Wins’ is not exactly quality TV, but maybe that’s all the better for changing the perceptions of people unlikely to reach for Germaine Greer’s latest book. We are only 3 episodes into this season, so for all I know next week’s installment could be filled with hysterical women and shots of tears against the backdrop of the Andes mountains. But if the show continues as it has started, it should be commended for avoiding cheap entertainment and Battle of the Sexes tropes. So no, maybe we won’t see a female winner. But maybe we will, and it’s the fact that I can say that that matters.